I benefitted by attending a Coldwell Banker Agent Panel this week, where the topic was PRICING. I organized my notes and will share what I learned from five seasoned veterans who work full time on the SF Peninsula. The Challenge: Many sellers believe their homes are worth more than they actually are at the time they are pricing. When a Seller begins working with a Realtor, there can be a significant difference of opinion between the Seller and the Listing Agent, which is not at all unusual. A conscientious and aggressive Agent is immersed in all local real estate activity, tours several houses a week, and exchanges information with colleagues about what is happening in the market up to the minute. Collaborations with other Agents creates real time market knowledge that is invaluable for the Agent to share with their prospective client. Prospective Sellers are looking at third party websites, driving around and seeing “sold” signs, talking to the neighbors, and coming to their own conclusions based on recent local sales, creating expectations even before they engage a Realtor. At the pricing meeting, our goal is to establish an asking price that balances maximum profit against current sales realities. Often the Agent must actively manage the Seller’s expectations to bring them to a successful sale. 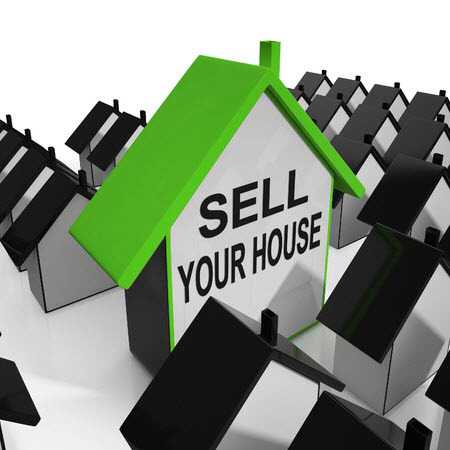 Once the asking price is known to prospective Buyers, the market will determine if it is acceptable. If a price reduction is needed, this doesn’t always mean the price started out too high, since sometimes the market shifts during a listing period. The Agent can spot this by analyzing the number of showings, the number of disclosure packages requested, and the length of time to receive an offer. We pay attention to these factors, not only for our own listings for the competitive properties also. A common strategy is underpricing a property to create a bidding war. From what I heard, this happens more often on the Peninsula than on the Coastside. Local Agents know immediately when a house is underpriced. The panel agreed that this is a questionable strategy that may not result in the highest and best offer for the client. It creates an auction environment that is not directed at the target market — buyers do most of their searching online by setting criteria, and if a house falls outside of their criteria the ideal buyer may miss seeing their dream house altogether. Today’s Buyers look at the homes they plan to buy as part home and part investment. In other words, they put more thought into the future resale value than have homeowners of the past. The veteran speakers noted that many years ago, buyers looked at their purchase almost solely as a roof to put over their family’s heads. At the moment – Fall 2015 – Agents, including me, are hearing that the market has “softened”. That term can mean different things to different people, but usually it means a slower market than at some time in the recent past, accompanied by overall reductions in prices. For now, the Peninsula may see two or three offers compared to five to seven offers just last Spring. The Coastside may see 1 offer, compared to 2-3 offers in the same time period. The Peninsula prices are still high, there are just not as many astronomical offers. The Coastside sees a mix of strong asking prices as well as some price reductions right now, but it would be premature to call it a softening market. There does come a time when buyers tire of competing with multiple offers and will eventually stop fueling a rising market for a period of time. This can be called a “stabilizing” or “normalizing” market. This is a more accurate characterization for the Coastside market, both in my opinion and the collective opinion of the panel. Another interesting comment I heard from a panelist is that wiggle room is a thing of the past. Did you or a Seller you know say that they will list their house at xyz price to allow for some wiggle room? Basically, this approach sets an artificially high initial asking price in anticipation of bargaining to lower price that is the actual target of the seller. Agents are no longer recommending this strategy. Buyers are using technology to understand the market in ways that no buyer was able to even 10 years ago. They know when a property is overpriced and will WAIT until the price is at a value they think is fair. Some sellers think buyers will make a lower offer, but most do not these days. This ads to the Days-On-Market statistic that is a key data point used by Agents, and can work against the seller. The Opportunity: The Seller and Agent who agree on pricing, marketing, and presentation are most likely to have a successful outcome. This is the Agent’s opportunity to educate the Seller on the current market. It is important to use data points (number of sales, absorption rate, days-on-market, inventory, etc.) The Seller continues carrying costs and their plans must wait if there is no sale. If the location, condition, and price are not in line with each other, either no sale or a much reduced sale price will occur. The agent needs to be honest, tell them what they really think, and give sound advice. Example: What else can the buyer get for their money at this price? With their Agent’s guidance, the Client determines the asking price and takes responsibility for their decision. A successful Realtor takes on a financial burden within their business, puts their reputation on public display, and prioritizes that project. If a Seller demands a higher list price than the market will bear, the Agent has to make a decision to take the Listing or to walk away. Once you have an offer or offers, some panel Agents offer the Seller the opportunity to hear the Buyer’s Agent offer presentations. 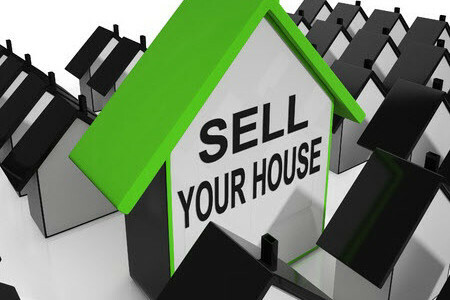 This gives the Seller the opportunity to hear first-hand the reason for the Buyer’s offer price.